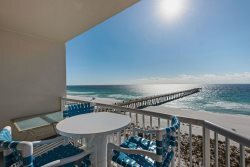 Planning your vacation to Navarre Beach, FL? Protect yourself with Travel Guard travelers insurance to ensure a worry free vacation. If you'd like to speak to a representative from the insurance company, you can contact Travel Guard at 1-877-249-5376 and refer to product #008573. They are available 24/7.